Would you believe it that anxiety is actually your mind and body trying to protect you. It is the fight or flight response – preparing you to fight or run away (flight)? Anxiety can be overwhelming and something that can happen as the result of a single event in your life, a catalogue of events or stress. Also anxiety can occur as a result of learned behavior. Learned behavior is something we pick up unconsciously, when we are very young usually, from parents or possibly siblings. Anxiety can be so strong that it leads to panic attacks and then very often the anxiety is focused on a fear of having a panic attack. Generalised Anxiety Disorder can be overcome as you learn new mindset techniques. If your anxiety is the result of some event (trauma), this may appear quite insignificant but has a significant impact at you. We can resolve the trauma and release the anxiety. 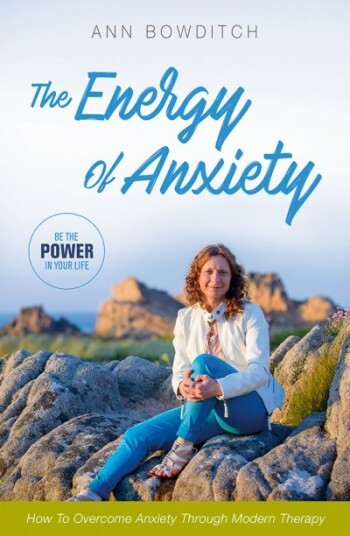 People who suffer with anxiety have shown they have very powerful minds to hypnotise themselves with that negative mindset therefore we use that powerful mind to make positive changes. I use a combination of therapies for a more powerful approach to success. Each session is bespoke to you. The sooner you kick anxiety into touch the better as it does often tend to get worse because of the way the brain ‘pattern matches’ and sees more and more situations as a threat. I often back up the work we do together in my studio with supporting recordings so that you can progress further and embed the good work carried out in each session.